Key Difference: Corn primarily means maize which is used among North Americans. It was derived from the Germanic word ‘kurnam’. Baby corn is one type of corn. It is widely used in East Asia and is harvested at the immature or earliest stage. 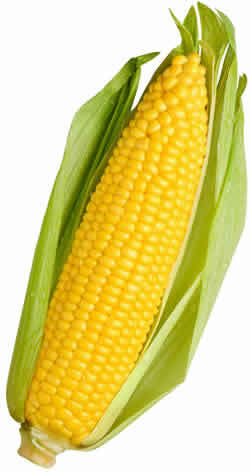 Corn primarily means maize which is used among North Americans. Corn was derived from the Germanic word ‘kurnam’. The word has traditionally been used to denote the primary grain crop in a specified area. When Europeans were introduced to maize, they called it as ‘corn’. The usage of this term is more for Indian corn. Corn is mais in Spanish, mais in French, mais in Italian, and mais in German. The pattern is developing in many countries. It is believed that corn is more preferred to be used for food products such as corn flour, corn meal, corn syrup, corn oil, etc. See the difference Corn Flour Vs. Cornstarch. Baby corn is especially popular in East Asia, where it was considered a badge of wealth after the plant’s introduction in the 19th century. Baby corns are always picked at the immature stage. It is basically a cereal grain that is harvested in the earliest stage of corn, also known as maize. Today, it’s more widely used, especially as an easy way to get vegetables into stubborn children. It is yellow in color and sweet in taste. They can be eaten raw or cooked. See the difference corn Vs. sweet corn. Baby corn or candle corn is a cereal grain taken from corn (maize) harvested early while the ears are very small and immature. 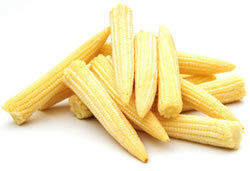 Baby corn is harvested before maturity. It is harvested at the earliest stage.